Mariell's top-selling bridal or special occasion drop and dangle earrings sparkle with AAAAA quality Cubic Zirconia gems in a fresh vintage design infused with a hint of modern styling. These romantic Art Deco beauties will make a stunning statement with any wedding gown, pageant attire or evening dress adding a serious dose of sophisticated gleaming silver bling. 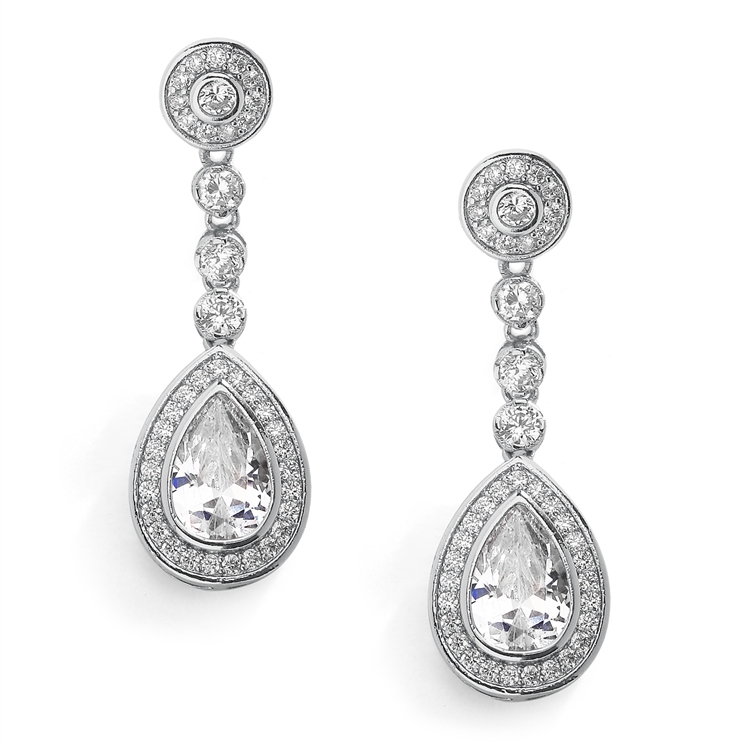 Our jewel-encrusted CZ earrings with distinctive pave-framed stones are a must-have addition to your jewelry wardrobe. They measure 1 3/4" h x 1/2" w with non-pierced clip on backs and comfort disc pad inserts. Genuine silver platinum plating. We promise you'll fall in love with these designer dazzlers or your money-back. Treat yourself or someone you love to some seriously gorgeous sparkle. As always, enjoy Mariell's Risk-Free purchase and Lifetime Guarantee.